The body is made up of dosha, mala and dhatu. Dosha are processes, the function of the elements and their weaknesses. 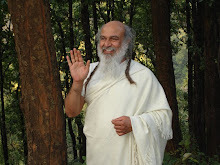 Mala is the waste of the body, what is eliminated from the body. Dhatu are the tissues, the physical structure of the body. So if we breathe, for example, the lung tissue itself is dhatu, the action of drawing breathe and turning it into nutrients is governed by the dosha and the part of the air that is expelled is mala. Everything that happens in the body can be described terms of dosha, dhatu and mala.